We’re running a social media ‘marathon’ for the ‘Digital Day’ of Adult Learners’ Week, led by Communities 2.0 and NIACE Dysgu Cymru. I’ve joined Rae, one of the Communities 2.0 Circuit Riders with Yvonne at Pencoed Growers near Llanilltid, just off Junction 35 of the M4. 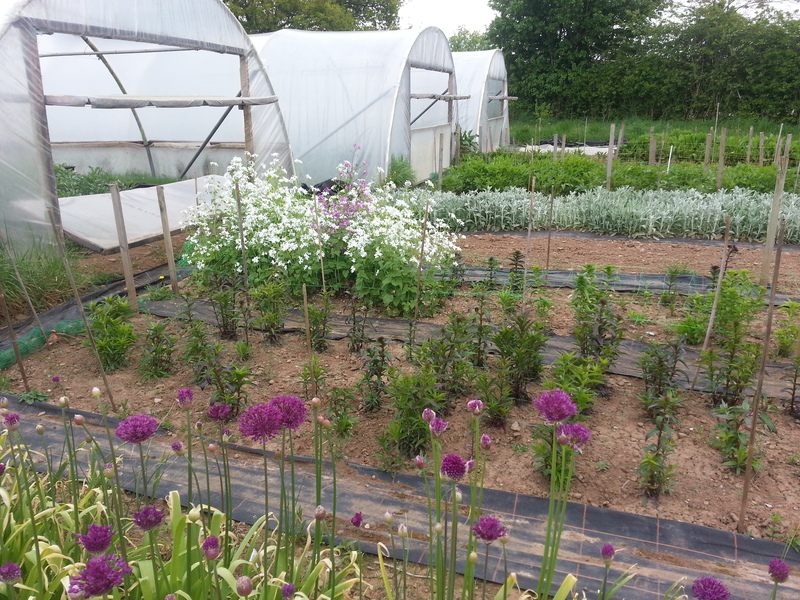 Pencoed Growers is a supplier of home grown, organic salads and vegetables. Rae has been working with them to develop a WordPress website, a Facebook company page and to streamline their email marketing approach. When we arrived this morning Yvonne had a list of questions ready for Rae. These included how to use her new email programme, how to edit posts on Facebook and how to upload photo’s on to Facebook. Yvonne had recently bought a new laptop and her email contacts list hadn’t transferred correctly to her new laptop. Rae was able to help her find her contact groups, import them into the email system and help her to send out a test email. Yvonne wanted to let her customers know about their new Facebook page but didn’t know how to put the link from Facebook into an email. Rae showed her how to copy and paste the link and explained how the link could be included in a permanent email signature. We’ve looked at adding pictures to Facebook and how to build up followers and friends on a company page and on a personal page. As Pencoed Growers produces fresh farm produce they benefit from the seasonality of their produce: as fresh crops are ready there is a steady stream of information and pictures that can be added to the Facebook page. We discussed a regular update on the growth of their Christmas trees, veg faces and directly informing customers when a new crop is ready and on sale. At the moment there are turnips ready to go – I’m not a big fan of turnips but I didn’t realise they could be eaten raw in salads – we discussed putting images of turnip salads on Facebook with a recipe. Rae has been going through the Facebook privacy settings on the accounts to limit searchability on external search engines and to limit people tagging images. 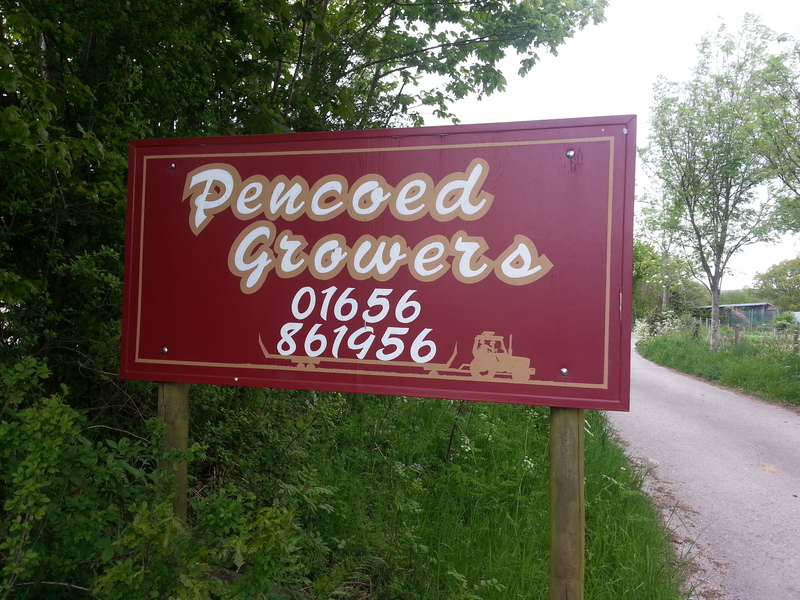 Further information about Pencoed Growers can be found on their website or their Facebook page. The consultancy.coop, a small Co-operative Development Body (CDB) based in south Wales has recently set up a new website aimed at helping new and growing co-ops with their Community Share Issues. Alex Bird, one of the partners in the co-op, realised after working with a number of community co ops trying to finance projects through share issues, that whilst they could market themselves easily to local people, communicating to the wider public wasn’t easy on a small budget. He and his colleagues have worked with community shops, community centres, pubs, football and rugby clubs, festivals, food co ops, bike shops, off-road cycle centres, recycling projects, gyms and energy co ops, and all had difficulty marketing their share issues. Many didn’t proceed with a share issues because they couldn’t see how they would get sufficient share sales and the activists involved looked to other sources of finance such as grants and loans. Some projects they’ve worked with have been very creative in their share issues, linking up with credit unions and CDFIs to enable people to get lines of credit or save up to buy shares, but they still find it difficult to contact their diaspora, and you can only raise so much from local people. Many projects have a wider appeal than just their immediate neighbourhood, and there is a large body of people across the UK and further afield who don’t have a project nearby but would like to support one. Real ale pubs, vegetarian and vegan shops, football clubs, and of course ecological and green energy projects are examples of projects with a broader appeal, but many such projects weren’t getting through to their potential share buyers, and at times weren’t hitting their finance raising targets. After many discussions about who wasn’t doing what and whose job it was to sort out this problem, and why “they” should be doing it, consultancy.coop did what co-operators always do in the end – got on with it themselves. Using the well-known open source software from WordPress and with the help of Co-operatives UK Internet Services they have set up a .coop site from their own resources. The new website is up and running at http://www.shares.coop and features all the Community Share Issues they know about free of charge in a classified style listing, plus lots of advice and guidance. The site is presently entirely self-funding, although as it develops they hope to bring some sponsorship on board in order to raise income and grow the site, so they offer paid for features as well as the basic free listing. Help them improve their SEO and get up the Google ratings by visiting the site, telling your friends, blogging, tweeting and linking your website to theirs. Do you want to know how your business can benefit from using social media? Book your place on this free event to find out how the main themes and principles of social media can be applied to your business. The event is designed to promote the support Communities 2.0 can offer to social enterprises and enterprises, as well as the business support available to social enterprises via the Wales Co-operative Centre’s Social Enterprise Support Project. Communities 2.0 is a Welsh Government programme which helps people and small enterprises make the most of ICT and the Internet. The event is on Wednesday 27 February. It starts at 9:30am and will run until 12:30pm. Tea, coffee and breakfast rolls will be served. Tom Beardshaw from social media specialists Native HQ, will be running a small workshop during the morning. The workshop is designed to give you practical knowledge of social media and how it can be used to grow your businesses. Networking opportunities will also be available throughout the morning. Place are limited so book your place now. • 9:30am – 12:30pm, Wednesday 27 February 2013. The event is jointly organised by Communities 2.0, Wales Co-operative Centre, Social Economy and Enterprise Network3 Network and South East Wales Community Economic Development. The importance of engagement in employee ownership – five examples from across the UK and across the world. A number of our Business Succession and Employee Ownership team members visited the UK Employee Ownership Conference in Birmingham recently. Here, Rhian Edwards, Project Manager within our Business Succession Team, discusses the importance that employee engagement has in the employee ownership process – and in developing focussed business growth. The employee ownership conference is an annual event held in Birmingham by the Employee Ownership Association. Although employee ownership is seen by many as a niche approach, there are lessons that can be learnt from companies utilising employee ownership successfully from around the world. Employee ownership can be a sensible long term exit strategy for business owners – but it can also be an amazingly powerful tool for developing employee engagement and innovation. Focus on business – whichever approach the companies used to engage with employees and promote the employee ownership approach, all the companies focussed on doing business and doing it well. There may not always have been as large a focus on profits or shareholder return but where that was the case, the emphasis was always on business growth and personal fulfilment across the company. Here are five examples of companies that struck us as interesting and good examples of how employee ownership can work in practice. WL Gore is a US based multinational with offices and production units all over the world. It is largely employee owned and has been named one of the best workplaces in the UK, Germany, France, Sweden, and Italy for several years in a row. Perhaps most famous for inventing the Gore-tex material used in outdoor clothing, Gore has created numerous products for electronic signal transmission, fabric laminates, medical implants and fibres technologies for diverse industries across the world. Gore believe that innovation and new product development comes from creating balanced teams with leaders that evolve from each team. That’s right, the team leader role defers to the person who is most knowledgeable about the topic under discussion. Salary levels relate to an individuals ranking in a team although salaries are kept confidential. This unusual approach is highly successful and has led to Gore earning a position on FORTUNE’s annual list of the U.S. “100 Best Companies to Work For” in 2011 with a worldwide sales of over £3billion. Clansman Dynamics is a Scottish manufacturing tools company based in Lanarkshire. It is an award winning company that develops and supplies high technology solutions for material handling in harsh working environments such as forges and steelworks. It has been employee owned since 2009. The company is in the process of developing its employee engagement and the feeling of ownership within its employee base, but working hard to achieve it. They hold regular ‘pizza meetings’ where a different employee from the workforce will be tasked with presenting key company figures to their peers – this encourages employees to take responsibility for understanding the financial data that effects them as owners and as employees. The company has encountered increased levels of productivity since moving into employee ownership. The fact that the company is owned by its employees, who live close to the factory, means that the company is ‘glued’ to Scotland. Its ownership structure means that the company can’t be bought by an external company, stripped and moved elsewhere – a lesson that we in Wales should consider carefully. The family didn’t consult with employees before placing an element of ownership of the company into the Employee Benefit Trust. The company has found that middle management have been the biggest doubters of the merits of employee ownership – it can be seen as a threat to their position within the business, and in Parfetts case they are not yet fully engaged in the process. This demonstrates that it is essential to put in place effective communication strategies during the change to employee ownership – but also to ensure that good communication is enshrined within the company culture as the benefits and responsibilities that come with employee ownership are taken on board by the employees. Gripple is an employee owned manufacturing company that was built on the success of a wire tensioning device aimed at farming and agriculture. Innovation is the foundation of their culture. They have created new products in different sectors including construction. In 2003, they opened a sister company, Loadhog, focussed on developing transit solutions such as the Loadhog Lid, the Smartstak frame, and a pallet/dolly hybrid, the Pally. Gripple insists that all employees take a stake in the business as a condition of employment. The investment is £1000 (or local equivalent) into GLIDE (Growth Led, Innovation Driven, Employee Company), a company limited by guarantee which represents all shareholders and works on democratic principles of one member, one vote. Glide is the receiver of gifted shares from the company’s founder. Eventually, over 60% of the shares will be owned by GLIDE and the employees. GLIDE was created to act as a custodian for the shares and harness the company culture. Innovation is built into the strategic business planning and future targets in the Gripple group of companies. They aim for 10% growth per annum but with turnover to come from 25% new products every four years. The company sees itself as having a responsibility to invest in social and financial well being, sports and social facilities and most importantly, product and process improvements and patented technology to support its ambitious innovation driven growth targets. The Childbase Partnership employs 1400 staff in 42 settings. It is 67% employee owned and is aiming for 100% within 10 years. Its nursery facilities are of a high standard with 47% of them graded as outstanding by Ofsted when the sector average is about 12%. The Childbase Partnership endorses an inclusive ethos ‘we all contribute, we all benefit’. Ownership is via a trust with an internal share market. They operate a partnership board which consists of 50% staff as well as external executive directors and a representative from the family that owns the remaining shares. They operate an employee led Partnership Council which has implemented changes to pensions and payment dates, embarks on staff engagement programmes and attends the main company board meeting twice a year. The company believes that with employee ownership, more people are committed and are more likely to go the extra mile. Employee ownership encourages people to contribute ideas, take responsibility, solve problems and cope with change. In a survey, 88.5% of staff agreed that employee ownership makes a positive difference. Employee ownership in the Childbase Partnership encourages employees to communicate openly and honestly about the company, which breeds mutual trust. Awards and recognition on a regular basis. Anecdotal evidence suggests that the increased worker engagement has been highly successful – the most highly engaged nurseries in the group are the venues with Ofsted ‘outstanding’ and 100% occupancy rates. Share prices between 2000 and 2011 have risen from £0.40 to £1.18. Childbase is engaged in a growth strategy that incorporates new builds and taking over existing businesses. The induction process for staff is easier in the new build nurseries but the induction process is becoming easier for staff in purchased nurseries as they know who Childbase are and have a better idea of what to expect from the culture of the company. These five examples demonstrate the employee ownership and well planned employee engagement can drive business growth. Employee ownership can be more than just an exit strategy – it can be a means of growing a business and increasing job security for every employee. Employee ownership can drive growth without leaving behind workers rights. At the Wales Co-operative Centre we have been proposing that engaging employees in ownership schemes could help secure the long term success of businesses in Wales. Employee ownership approaches engage workers and encourage them to take a positive and proactive role in helping their companies grow. Evidence shows that employee ownership is proven to support strategies for business growth as well as importantly laying the foundations for successful business succession for owners across the UK. Employee ownership is a growing economic force across the UK and it is very encouraging to see it on the agenda and stimulating so much debate. The Wales Co-operative Centre has a dedicated project aimed at promoting the benefits of various forms of employee ownership at governmental level and throughout different business and industrial sectors. Last week the Chancellor, George Osborne, announced that he intends to set up a new owner-employee contract which will be introduced in April 2013. The contract, which allows owners to award tax free shares worth of between £2000 and £50,000 to their staff, in exchange for staff giving up workplace rights around unfair dismissal, training and redundancy amongst others has added a new twist to the discussion. Many commentators have questioned the link between employee ownership and the requirement to sacrifice worker rights. Employee ownership can be an opportunity for businesses to re-engage with their employees, reinvigorating the nature of the relationship between the employee and the company. However, this process must be managed to ensure the optimum benefits for everyone involved and should involve wide engagement with employees so they understand what ownership means, how it relates to their position as an employee and how they can enact their rights as owners. Where employee ownership approaches have failed they have generally been where the process is considered purely as a financial transaction with no consideration given to the needs of the various stakeholders involved. The Chancellor’s approach raises a number of practical questions. How are shares valued and managed? How will employees be able to make a judgement on the value of their shares against the value of their employee rights? Share values fluctuate according to the performance of the company so there is no way of guaranteeing a value to the shares. It is worth remembering that redundancy options are often presented when a company is not performing well and share values are likely to be lower. Also, how would dividend distribution be agreed and managed? What voting rights are attached to the shares? What power within the company will a shareholding give the employees? Assuming voting rights will be proportional to shareholding the employees will be minority shareholders so could have little power attached to their shareholding. So if an employee takes up this approach, or, is forced into a situation where they have to accept it as part of a contract when starting a new job, what, if any, safeguards are there for them? The Wales Co-operative Centre always makes it very clear when working with employee groups that they are employees first and shareholders second. Ultimately their shareholding isn’t worth anything if they don’t fulfil their roles and responsibilities as employees. With this approach the employee ownership is both the carrot and the stick – a company that performs well is able to offer bonuses or dividends, a company that underperforms will not. It is intrinsically in the employee’s interests to work towards making the company a success. The Chancellor’s new policy announcement could put employees in a position where they have to choose between being an employee with employment rights and being a shareholder with rights to a share of any profits created. The roles of employee and shareholder in an employee owned organisation should compliment each other for the long term benefit of the business. As an organisation we look forward to examining the finer details of the Chancellor’s proposal when they emerge. Rhian Edwards is manager of the Business Succession project at the Wales Co-operative Centre. Her team works with micro-businesses and SME’s across Wales to develop employee ownership approaches and employee ownership based succession planning. This article first appeared in the Western Mail on Wednesday 17th October 2012. Is it too late to defuse the Business Succession Time Bomb in Wales? Business succession is a ticking time bomb in Wales. Our economy is dependent on SME’s and Micro businesses. In Wales our business owners stay with their businesses longer than other owners anywhere else in the UK. If business owners do not have a robust exit strategy in place, they may find that the only option remaining to them when the time comes is to close the company and make their employees redundant. According to the Federation of Small Businesses research, business owners in Wales have owned or co-owned their businesses for an average of nearly 16 years and 29% of businesses have been owned by the same owners for 21 years or more. This suggests that business owners in Wales see the growth and nurture of their businesses as a long-term commitment and devote a large proportion of their lives to it. However, it also suggests that there is a massive proportion of business owners approaching a realistic retirement age. With approximately 99% of businesses in Wales classified as SME’s or micro-businesses, it is apparent that these business owners succession plans have more than just the successful continuation of their companies dependent on them. 29% of small businesses in Wales equates to somewhere in the region of 15,000 owners who could be looking to leave their business in the next couple of years (See footnote). In an economic climate which makes trade sales difficult for most owners and in a country where the vast majority of businesses are too small to consider public listing, the effect of poor or non-existent succession planning on the Welsh economy cannot be underestimated. If 15,000 business owners closed theirs shops, factories and warehouses tomorrow, where would that leave the Welsh economy? Media focus lately has been on business start-ups, inward investment and the dramatic reduction in employment in the public sector currently occurring in Wales. Yet, with the implied need to find replacement employment from the home grown, domestic private sector, very little concern has been raised about the approaching issues of an ageing owner manager population. Who will ensure these existing businesses survive, grow and flourish? Our report published today looks at these issues in detail; it identifies issues with the traditional approaches of family succession and trade sales and offers employee ownership as a viable and sustainable alternative which benefits both the business owners and the employees. A one-stop shop that integrates the knowledge of Wales Co-operative Centre, Federation of Small Businesses in Wales, Finance Wales, Co-operative and Community Finance and the Employee Ownership Association for owners contemplating an exit strategy. More extensive research on the topic to gain a clear focus on the risks and precise costs that bad business succession strategies have on Wales. Employee ownership schemes, employee buy-outs and support for the development of worker co-operatives could all contribute to a more stable economic future for Wales – but the work needs to be undertaken now. For example, Skye Instruments in Mid Wales produces electronic instruments used to monitor the impact of micro-climate variations on crops. The owners came across the idea of employee ownership via the Wales Co-operative Centre and were attracted to the possibilities for using it to secure the businesses location in Mid Wales. After initial difficulties in finding accessible and clear advice on how to approach the process the owners presented several options to their staff who voted for an employee benefit trust. This was set up in 2009 and 40% of company shares are now in the trust. The remaining 60% of the shares will be sold to the trust over the next 6 years and whilst the owners will have exited financially, the hand over process will be on-going and they will retain involvement in the business. Installing employee ownership mechanisms and developing and engaging staff takes specialist knowledge, time and effort and the work needs to be undertaken from the moment the owner starts considering succession – not from the moment the owner starts trying to sell their business. At the Wales Co-operative Centre, we have been involved with employee ownership and worker co-operatives ever since we started 30 years ago. Our specialist Business Succession Team offer advice and support to business owners and employees taking their first steps down the road to employee ownership. They can help provide advice on suitable employee ownership models, look at how vehicles such as Employee Benefit Trusts and Share Incentive Plans can be used to support the transfer process, and provide support with finding finance, business planning, management and governance issues. So is it too late to defuse the Business Succession Time Bomb in Wales? No, it’s not – but to avoid a massive drain on the Welsh economy over the next few years it is essential for politicians, business advisers and business owners themselves to consider all sorts of plans for viable and sustainable business succession including the benefits of employee ownership and to ensure support and assistance for those businesses is provided as and when they need it. There is every reason to believe that long-term succession planning leads to long term success but that planning needs to be implemented and the available options discussed now. The report ‘Employee Ownership: Defusing the business succession time bomb in Wales’ can be downloaded from the Wales Co-operative Centre’s website here. The Wales Co-operative Centre’s Business Succession Team is running a series of business succession roadshows in Swansea, Caerphilly, Bangor and Ruthin. Further information and ticket booking facilities are available on the website here. In 2009 there were 53,205 active SME’s (1 – 249 employees) in Wales. Federation of Small Business Research suggests 29% of Welsh Businesses have had the same owner for 21 years or more. 29% of 53,205 is equal to 15,429 small businesses. “The Awkward Squad never retire”. How do worker co-ops and employee owned businesses deal with retirement? In episode 2 of the hit BBC drama Baker Boys a key character, Gwynfor, has taken the hard decision to retire early. In Gwynfor’s case he knows that there is not likely to be any immediate return on his investment in the Valley Bara Co-operative as the Bakery is struggling – but what happens in a real worker co-operative or employer owned business when an owner / employee chooses to retire? Retirement – What does this mean for shareholding / board membership / future involvement? When a member of a worker co-operative retires, they would usually sell the shares they hold in the business. Many worker co-operatives clearly state in their rules that only current employees can hold shares in the business, so when a member retires it would signal the need to sell their shares, and usually the time frame within which the shares should be sold. They would normally offer the shares in the first instance to the other employees in the business. If no one wants to buy the shares, the business can buy them back. The business’ accountant would agree on the value of the shares at the time of the sale. If the retiring employee has very specialist knowledge which is critical to the business, the business may wish to appoint him/her to the Board of Directors as a non-executive board member so they can still make a contribution to the business’ future. Click here for more information about Employee Ownership and the services offered by the Wales Co-operative Centre. The Wales Co-operative Centre was set up thirty years ago and ever since we’ve been helping businesses grow, people to find work and communities to tackle the issues that matter to them. Our advisors work co-operatively across Wales, providing expert, flexible and reliable support to develop sustainable businesses and strong, inclusive communities.